“Looking for a night out without the little ones? 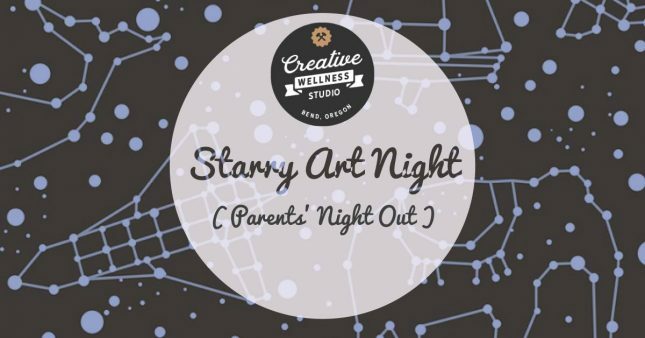 Bring them to the Creative Wellness Studio for 2 hours of art making, star gazing and pizza! We’ll have a variety of activities to engage your child in the joyful process of creating while projecting the night sky in the studio. Register to hold your spot and make your dinner reservations/pencil in a relaxing evening at home. Please note any dietary restrictions/allergies when registering.